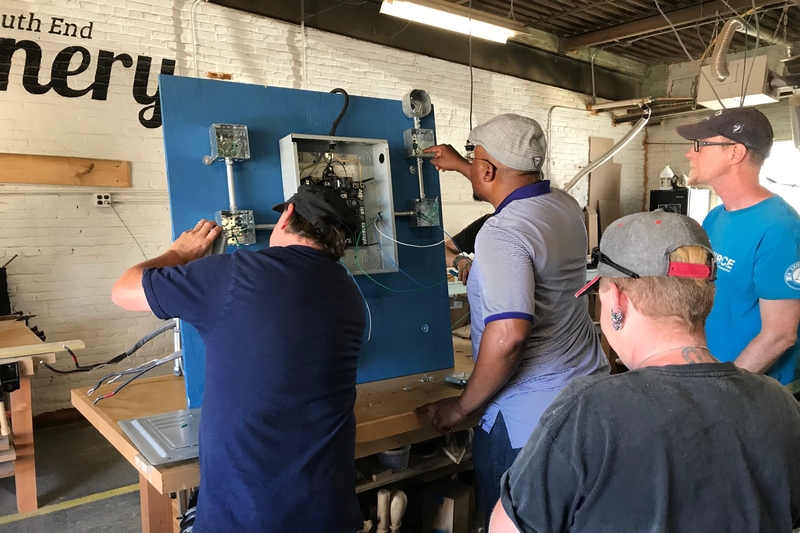 IBEW Local 300 and Resource - a non profit community enterprise - have collaborated in developing an electrical module for a new Construction 101 program held in Burlington, VT. The program runs for 10 weeks and participants learn basic construction skills that will prepare them to enter the world of skilled-labor upon completion. Participants receive an NCCER and OSHA certification through the innovative program developed by the Vermont Department of Labor and the city of Burlington. IBEW Local 300 taught 2 modules - an introduction to solar, and an introduction to wiring methods. Students in the program were able to get hands on with the Local's "Solar Trailer" and wire up a house panel to basic devices. The module was an important first step in exposing participants to a career in the electrical field.